Need it by April 30th? Order in the next 6 hours and upgrade to 2 Day Shipping at checkout. 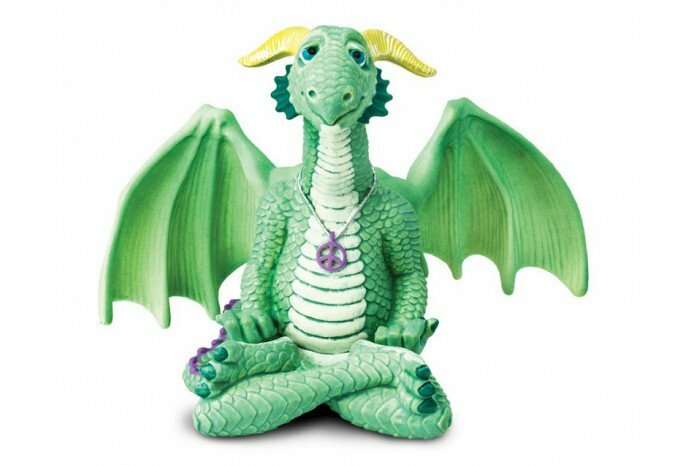 A seated, relaxed dragon with a peace sign necklace. Dragon is in a meditative pose. Measures 3 3/4" in height.